The Old University of Salzburg, which was downgraded to something like a liberal arts school in the course of the Napoleonic Wars, had extensive botanical gardens. In reference to these gardens, the new Universität Salzburg (which was re-founded in the 1960ies) aimed to get a new and modern garden facility. In 1986, the new and modern Science Faculty building was opened. On the extensive grounds of the "Nawi" (an abbreviation for Naturwissenschaftliche Fakultät, Faculty of Sciences), an array of ponds and the new Botanical Gardens were built. 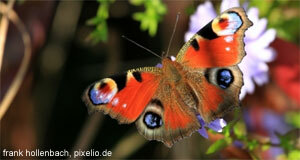 The Botanischer Garten serves educational and recreational purposes both for students and visitors. They extend over a total area of about one hectare and are situated directly at the Hellbrunner Allee. The gardens are divided into several sections. The biggest one concentrates on Central European vegetation and is an outdoor area of 10,000 square metres. In addition to that, there are several greenhouses, not all of which are open go the general public. Some greenhouses serve the scientists of the neighbouring faculty building as a research facility, others are used for maintaining the garden. One large greenhouse for tropical plants is integrated into the Nawi building, which helps to make the facility lighter, greener and friendlier. In terms of vegetation themes, the Botanical Gardens are arranged into a herbal garden, a section for Alpine plants, highlands and moors, a section for local plants in dry land, a farm garden for agriculturally used plants and a Rosarium with a collection of roses. Entrance to the Botanical Gardens is free of charge and generally possible during business hours. Note that even many locals don′t know of the existence of the Botanical Gardens or think that they are not accessible research facilities - which is wrong, and the gardens are definitely worth a closer look, especially if you happen to be in the area or if you have an interest in local vegetation. There are written guides on the plants available for a small fee.